Today, Bol has become a favorite destination for surfers from various parts of Europe and the world. 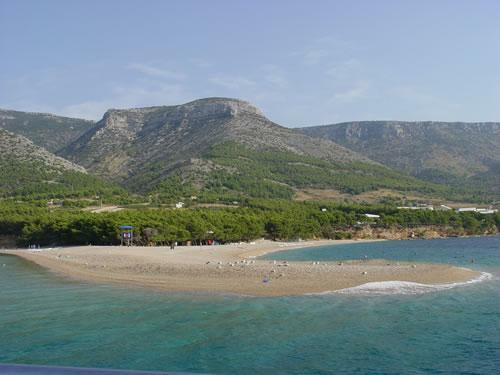 The sea channel between the islands of Brac and Hvar, and the wind that blows there, provide ideal conditions for windsurfing. For all surfers and those looking to become ones, four surfing centers are available in Bol. 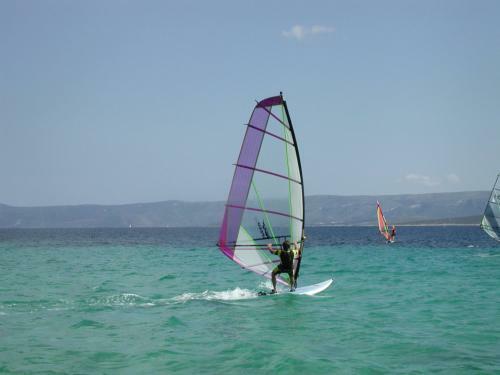 Windsurfing centers in Bol are offering beginners courses as well as advanced courses. In Big Blue Center, beginners courses cost 99 € for 8 hours, and 139 € for 12 hours. After the 12 hours course, you can make the international windsurfing licence (VDWS). The tax for the licence - 25 €, is not included in the price of the course. Beginners courses for children cost 99 € for 8 hours. Children between 6-8 years of age (over 30 kgs weight) until 13 years of age can take part in these courses. 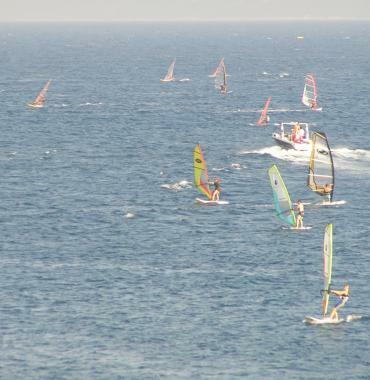 After the course, they can make the international JUNIOR windsurfing licence (VDWS). The tax for the licence - 15 €, is not included in the price of the course. Advanced courses cost 85 € for 5 hours, and 150 € for 10 hours. Necessary knowledge is 12 hours of beginners course. Lessons include: beachstart, first steps into funboard technique, windsurfing with harness, jibe and tack. Private classes and pro surfing lesson, rentals for boards and rigs are also available.